Come Check Out CF Bound! Book your FREE No Sweat Intro, and see if CrossFit Bound is the right fit for your fitness goals! 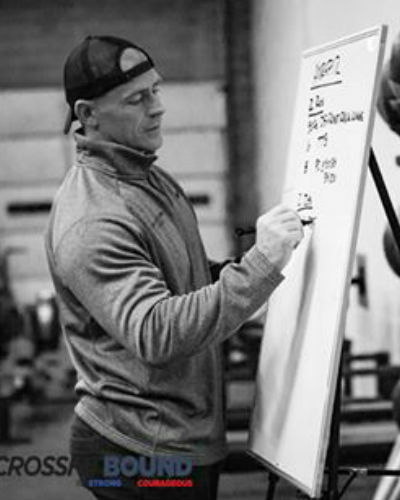 Brandon Phillips is CrossFit Bound’s Head Coach and Programmer. Brandon received a B.S. in Exercise Science from Kennesaw State University. Shortly, after graduating, he become a Physical Education teacher at The Walker School in Marietta, GA where he took on other roles as the Strength and Conditioning Coach and Head Varsity Wresting Coach. During his time at Walker, Brandon was searching for something new and came across CrossFit, tried a workout and has been hooked ever since. 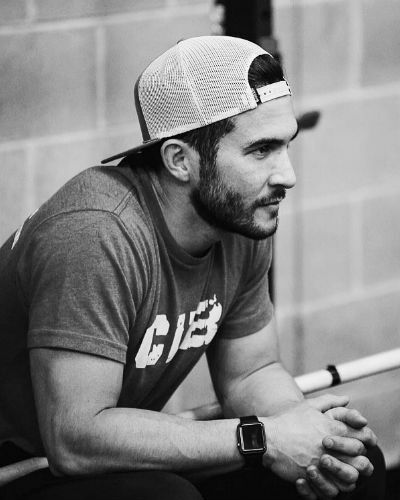 In January of 2009, he decided to compete at the Southeast regional competition and finished third giving him his first trip to California to compete in the CrossFit Games. Since then, Brandon has qualified and competed in the 2010, 2011, and 2012 CrossFit Games. 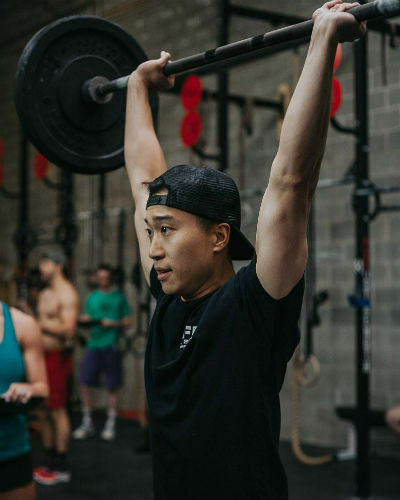 He has been featured in numerous CrossFit articles as well as Good Morning Atlanta and Fitness Truth for his competitive achievements and fitness program implementation. 2-time 2nd place finish at the American Open and senior nationals. Outside of CrossFit, GRID, and Olympic Weightlifting she is a dedicated mother and began Fit and Flexible Nutrition; a personal nutrition plan for everyone from the stay at home mom to the elite athlete. I was a well-rounded athlete in high school, but slowly developed a “dad bod” through years of unhealthy eating habits and a lack of exercise. As time went on, I knew I had to make a change. I began my fitness journey at age 34 with P90x. In 6 months, I had gained the strength and motivation to power through more rounds of P90x and Insanity. I then moved into powerlifting 2 hours a day, 5 days a week, for 4 months with my dad, who is a nationally ranked powerlifter. Along the way, I began inviting people to workout with me, not knowing I was developing my life’s passion. Eventually, the fitness group I’d formed in a church parking lot grew, and I knew I needed a home gym so that I could continue to share my love for fitness with the community. I joined the CrossFit Bound team in January 2015. I get to work with wonderful, like-minded people every day, and each of them keep me motivated. I truly love to guide and see people develop healthy living habits, knowing how much it’s changed my life. 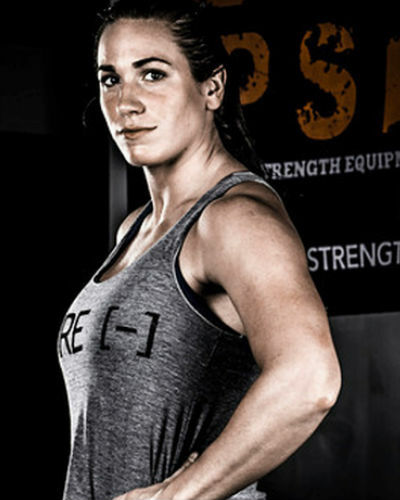 Tricia is a coach, personal trainer, and nutrition counselor at CrossFit bound. Aside from being a CF-L1 trainer, she currently holds certifications through NASM for personal training and fitness nutrition as well as AFAA group fitness. She also cofounded the nutrition counseling business Fit and Flexible Nutrition with Jessica Phillips. Growing up loving sports and the outdoors, she competed in swimming from a young age, then turned her focus to soccer where she competed on travel teams throughout her youth. While attending college at the University of Georgia, her love for fitness grew as she began training for a half and later a full marathon. Training for long distance races instilled in her the discipline of becoming dedicated to fitness and nutrition in order to succeed on competition day. However, after suffering various injuries during marathon training, she decided to find another outlet for her competitive mindset. Living in Houston at the time, she and her husband ventured into a CrossFit gym down the street from their apartment. After one free Saturday class they were both hooked and haven’t looked back since. Moving back to Georgia in 2015, Tricia found a new CrossFit home at CrossFit Bound where she instantly fell in love with the amazing community. Currently, Tricia enjoys competing in CrossFit while teaching others about the sport of fitness that she has grown to love. She has worked with people of all fitness levels, with varying degrees of present and previous injuries, and of all ages and backgrounds. She is constantly seeking to broaden her knowledge and experience in fitness training and in nutrition and health in general. Feel free to ask her about getting started on a Fit and Flexible plan or about anything health and fitness related! Tim was born and raised in Chicago. He has loved all kinds of sports ever since he was young. He’s played everything from basketball to soccer to volleyball, and even golf. Growing up, Tim never learned the proper way to rehab injuries and recover properly and that soon led to many problems throughout college. That’s when Tim was introduced to CrossFit by his chiropractor. 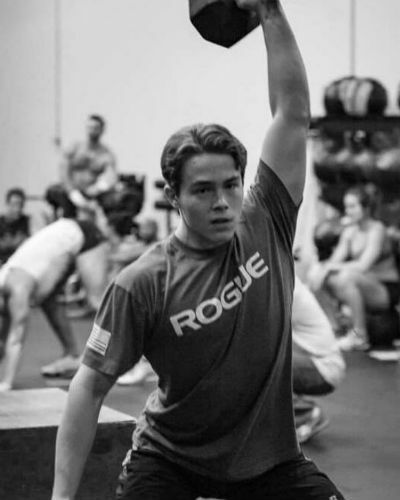 He started Crossfit in 2013 as a form of rehab for his shoulders/overall fitness, and has been hooked ever since. Soon after, he found his passion in helping others achieve their highest potential, and doing things they never thought they could. Not only that, but achieving their goals with the proper form and technique is even more important than the big numbers they put up. Tim is now in grad school studying chiropractic and taking every opportunity he gets to learn more about the human body and the proper way it is suppose to function. Since joining CrossFit Bound, I have been able to learn, work with, and share my passion with an amazing community who inspire me everyday. Outside of the gym Colton is pursuing a degree in construction management at Kennesaw State University and works in the civil engineering field.